You can find a very nice collection of free board games on this page. All games are really free and don't have limits. I only add freeware or open source games to this page. If you find a game that is not really free or has limits please be so kind to let me know so I can remove it. Sea3D (The Settlers of Catan) hot! 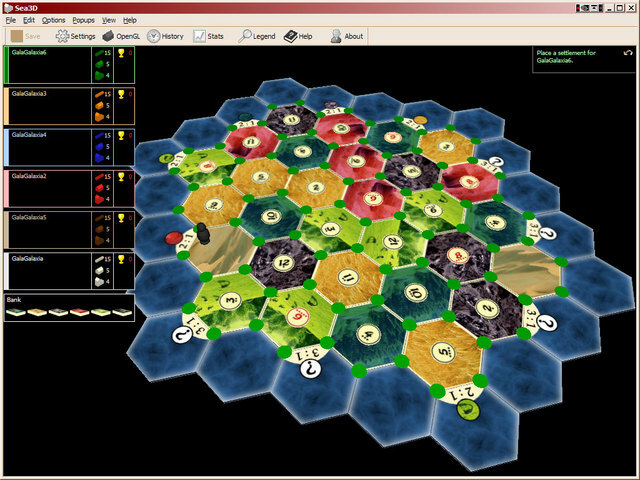 Sea3D is a 3D OpenGL implementation of the widely popular board game Settlers of Catan, including Seafarers. It has full textures, lighting, 3D rotation, panning, zooming, hotseat and network play, and has built-in game finding and ELO ladder ranking. This was the best free version of the classic game Monopoly. All the tokens are here, with up to 8 components, any number of which can be computer-controlled. 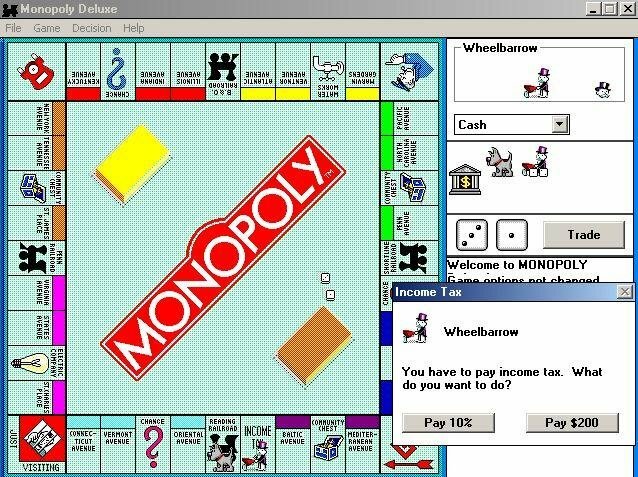 The rules of Monopoly are included in full, thanks to Windows help file. As far as board games go, you can't really find fault with this Windows version of the classic. This is java version of the classic RISK board game, with a simple map format, network play, 1 player, hotseat, 5 user interfaces and many more features, it works in all OSs that run java 1.4 or higher. Backgammon is one of the oldest board games for two players. The playing pieces are moved according to the roll of dice, and players win by removing all of their pieces from the board. 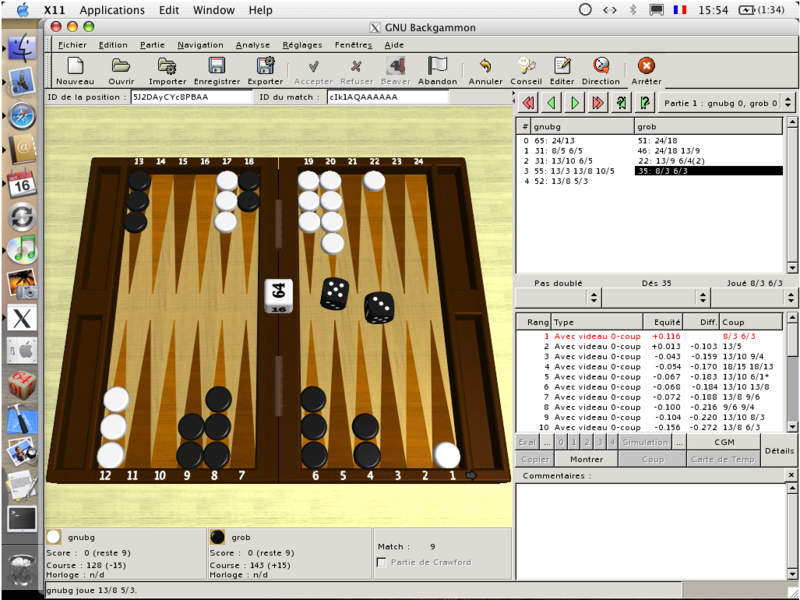 There are many variants of backgammon, most of which share common traits. Backgammon is a member of the tables family, one of the oldest classes of board games in the world. Although luck is involved and factors into the outcome, strategy plays a more important role in the long run. With each roll of the dice players must choose from numerous options for moving their checkers and anticipate possible counter-moves by the opponent. Players may raise the stakes during the game. There is an established repertoire of common tactics and occurrences. Continental is a board with 33 positions and 32 tokens. The tokens can be moved jumping over other tokens to an empty position (like Check). The goal is eliminating all the tokens but one, which must be situated in the central position.